Whomever God gave the wisdom to create “Tape In Hair Extensions” is a blessing in the hair world. It’s fun and rewarding to give people longer/more hair in a way that isn’t so detrimental to the existing hair, more importantly, the follicle. Tape in extensions arethe best option I’ve used to date. Whether adding length, fullness or both, it can be done in a quicker, gentler and more reasonably priced manner thanks to this new technology. With long hair being the trend, even later in life, any wonderful solutions to making this possible, I want to share! Of course healthy, pretty hair is my first priority. The right products and applying the right chemicals (if any) properly is the foundation. With the right foundation many things are possible. Tape in hair extensions put less stress on the follicle because they have a wider (more substantial) base. The tape “strip” gives more support across a section of hair, yet it lays flat against the scalp. Laying flat also makes these extensions much more comfortable and there is less risk of “catching” when brushing or running fingers through the hair etc. When tape in hair extensions are cared for properly they can be re-taped and used 3 times. For optimal results, maintenance should be done every 7 weeks. Going longer than 7 weeks puts more stress on the follicles supporting the extension. For anyone who is not so gentle, 6 weeks may be the better plan. As the extensions grow out with the hair they’re attached to, they are further away from the scalp and there is more potential for stress and tangling because it’s less stable. Though human hair extensions are an investment, the initial cost of professional tape in extensions is less because it takes less time to place them, about 1 hour. The maintenance on tape in’s takes more time because they have to be gently removed, washed and re-taped. If the natural hair is colored, the ideal time to apply color is while the extensions are out to be re-taped. Maintenance with color usually takes about 2- 1/2 to 3 hours. 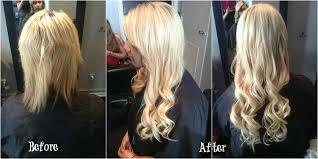 These type of extensions are ideal for most situations and hair types. They look, act and feel like they’re your own hair and can be styled just like you would your own. It’s a great way to get through the awkward grow out stages or just add thickness. If thickness is the goal, without adding much length, it doesn’t take as many extensions so it’s even quicker and easier to add to your hair care regimen. 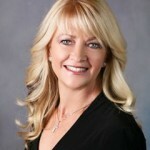 SoZo Salon Tips – a blog about beauty salon tips, tricks and hints. SoZo HAIR serves the greater Cincinnati area. We are located in Olde West Chester at the corner of Cincinnati-Dayton and West Chester Rds. 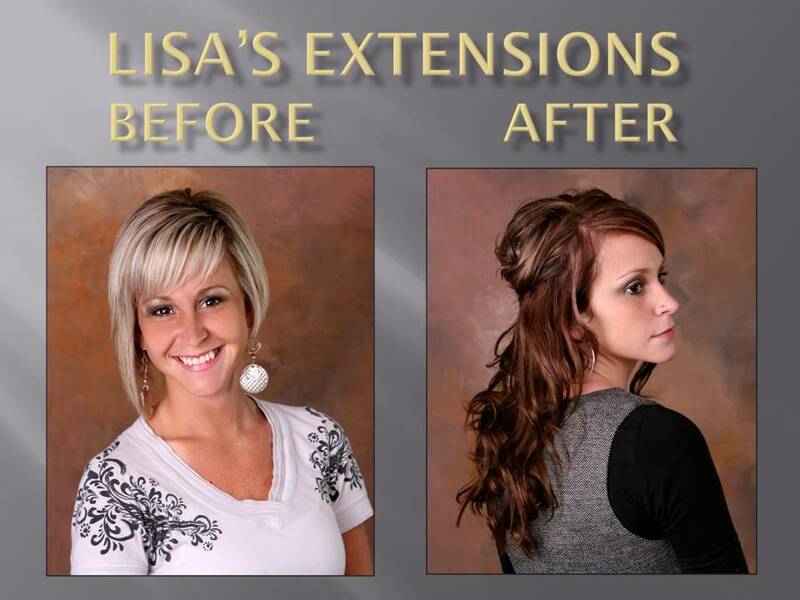 We’re just a short drive from Mason Oh and Fairfield Oh….a big city salon without the big drive and big traffic. 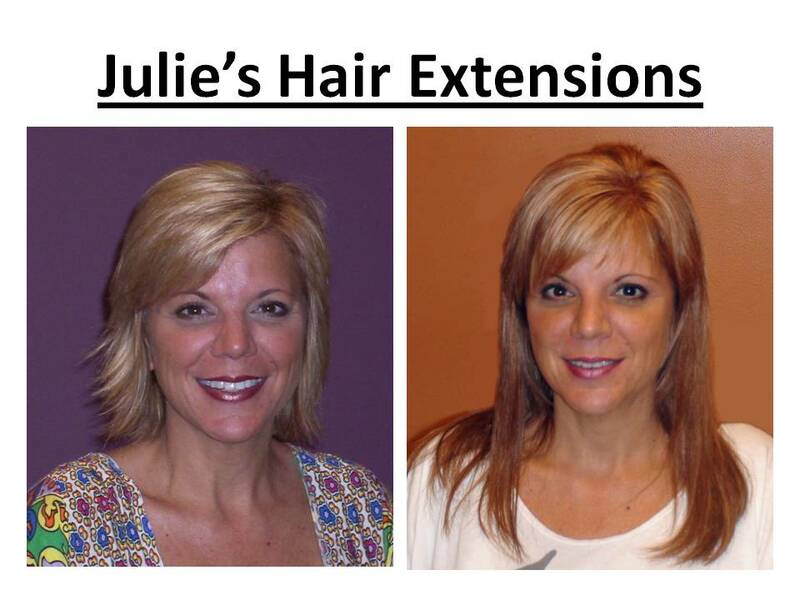 The best Cincinnati Salon for professional hair extensions is in West Chester! 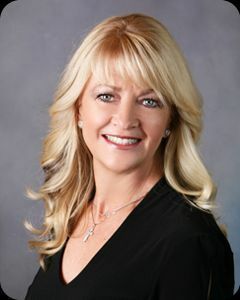 Karen Welch has 30 years of experience in the Hair Fashion Industry and is considered an expert in hair design, hair color and professional hair extensions.